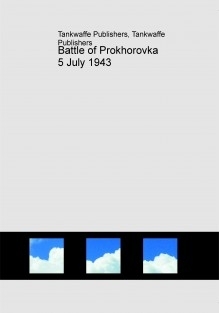 The Battle of Prokhorovka was fought on the Eastern Front during the Second World War as part of the Battle of Kursk in the Soviet Union (450 kilometers / 280 miles south of Moscow). Principally, the German Wehrmacht's Fourth Panzer Army clashed with the Soviet Red Army's 5th Guards Tank Army. It is the largest tank battle in military history. On 5 July 1943 the Oberkommando der Wehrmacht launched Operation Citadel. The aim of the German High Command was to destroy the considerable Soviet forces in the Kursk salient. Destroying the Red Army in the field would recover the strategic initiative for the Wehrmacht on the Eastern Front. The operation was to be achieved by five German field armies, which were to strike in a pincer movement on either side of the Kursk Bulge. In the ensuing Battle of Kursk, German forces were halted on the northern Orel sector. However, in the south the formations of Wehrmacht and Waffen-SS achieved a deeper penetration, approaching Prokhorovka. The Red Army was forced to commit its operational reserves sooner than it would have wished. The resulting clash of armour occurred on 12 July 1943 and became known as one of the largest tank battles in history.